Italian Harvey Guzzini lamp “Clan”. This mid century table or floor lamp is the brother of the Bud Grande Pendant, designed by Studio 6G and Guzzini in 1968. The Italians were ahead of their time with the design of lamps in plastic. Considering its age this vintage design lamp is still in very good condition. Material: Plastic, PVC (base) and iron (chrome). Colour: White, brown and zilver. Source: Guzzini. 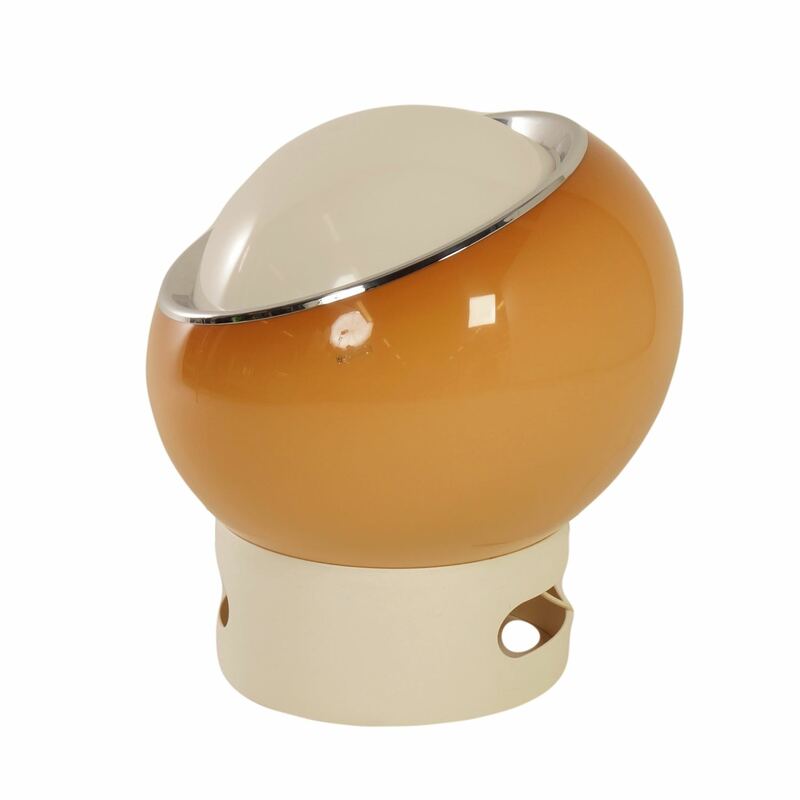 Marked: iGuzzini SPA made in Italy.